My Savannah after landing on a gravel pan. 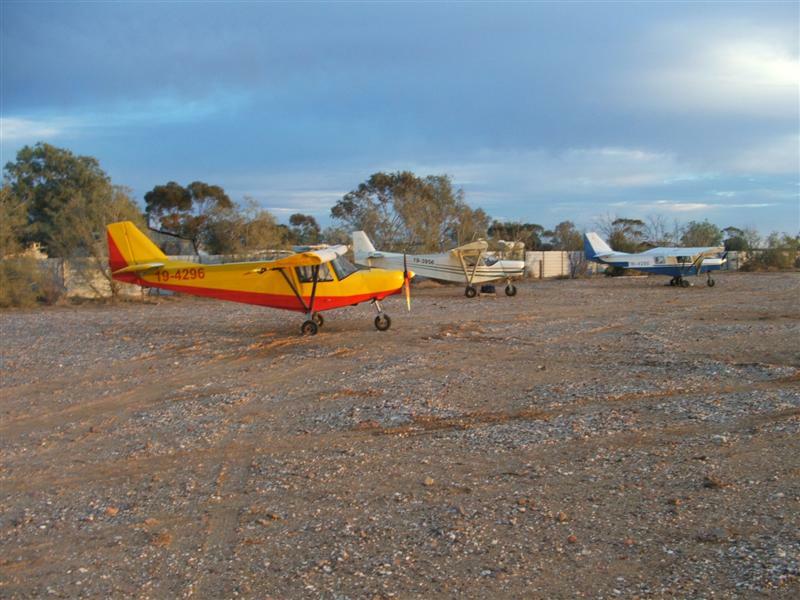 Parked outside Marree Caravan Park, South Australia. That's a terrific STOL aircraft!!! The old adage - "...For good STOL you need lots of wing and lots of power..."
Got lots of both here. 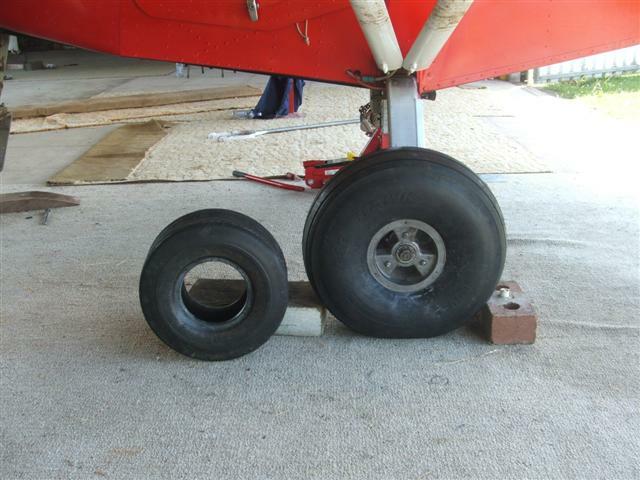 There's a couple of rough places I've wanted to land that will need these wheels. Looking forward to going out there again soon. Have a look at this Savannah take-off video! I finally cut the slat brackets off the wing, the final straw was when I gashed my head on a bracket! The stalling behaviour is now excellent, made a big difference, calibrated stall speed is still 30 kt flaps down, 35 kt flaps up at medium weight, but now the aircraft is totally benign in the stalls, and the lateral stability has improved. I fitted the feather VGs to the Bingo (618 powered), removed the slat brackets and bogged up the slots. The improvement in performance is spectacular, around 10kts, power off stall the same as with slats, better roll, more effective flaps. I feel the 2 stroke has a greater performance improvement because there was always insufficient power to keep the aircraft “on the step” and it always flew in a nose high – high drag attitude, anyway it now flies faster (70+kts at 5700rpm) in a far more nose down attitude. The fuel consumption is about the same (14-15L/h, 2 strokes need the fuel to cool). Another thing I have noticed is the aircraft is far less gust sensitive, probably in its higher angle of attack attitude with the slats, any small thermal gust would cause a flow through the slat which would exacerbate the pitch and roll response. Altogether a very satisfied customer. Cheers. at 59 Knts, climb about 600 FPM and stalled at about 28 Knts (no flaps). Fuel consumption has been 10 LPH. After I took the slats off and put the VG's on the cruise went up to 65 Knts, and climb to about 750 FPM. I did not fly it with slats off and no VG's. The difference in the STOL between slats / and no slats with VG's as I said seems to me to be slight.